Even though I have a long history of working successfully in most areas of Psychology I feel that I know less and less as I get older. Maybe that's what wisdom is and what draws me to the practice of Psychotherapy. It is a privilege to work with people no matter what brings them to me and each encounter is a unique learning opportunity for both of us. I support clients' determination to transcend their suffering and to learn how to experience the happiness we all deserve. I have a long history of working successfully in most areas of Psychology however I approach each client with curiosity and compassion and this helps me to keep an open mind. It is a privilege to work with people no matter what brings them to me and each encounter is a unique learning experience for both of us. I support clients' determination to transcend their suffering and to learn how to experience the happiness we all deserve. I don't claim to be an expert since I believe my clients are the experts in their own lives. I feel more like a mid-wife who waits patiently, gently observing the labour until it is time to support whatever is emerging. At other times a more direct response is needed and I'm not afraid to say it like it is when appropriate. Although as therapists we have theories, research and tools to help us, I feel we need to respect the differences between people as well as our common humanity. 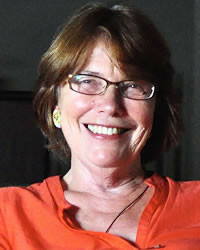 Member of the Australian Psychological Society for over 30 years. During my career in Psychology I have worked in most of its branches, clinical, counselling, organisational, educational including post graduate teaching and supervision. I re-trained in 1999-2002 in a form of Psychotherapy, Hakomi, quite different to my earlier training but consistent with the newly emerging integrative practices involving body, mind and spirit. This was a healing experience for me and has influenced the way I practise as a counselor and psychotherapist. Daily, evening and Saturday appointments by arrangement. Close to City bus/train with ample free parking. Cash, cheque or internet payment. I cannot honestly say that I chose it as a profession. It feels like it chose me. I enrolled in Psychology as part of an Arts Degree way back in 1961 with no idea of what I wanted to do. Psychology was my best subject so I followed it to Honours level becoming more and more fascinated with the strange workings of the human psyche. I was fortunate to work with a Professor who was a wonderful teacher and he encouraged me to consider a career in the then infant profession of Applied Psychology. My first job was at the notorious Callan Park Mental Hospital commonly referred to as ‘the Loony Bin’. I was fascinated and appalled at what I witnessed in the locked ward to which I was assigned, encountering many men whom society had forgotten: some psychotic, some highly intelligent, some gentle, some angry and others so catatonic that they hardly moved. Against considerable opposition I formed a reading group for patients whom were supposedly uneducated and beyond help. I found once we unlocked the ability to read freely to each other, real discussion and sharing started to happen even though some of their behaviours remained challenging. I still remember these men fondly, and it was here I learnt the most basic lesson of all: that we all yearn to be seen and heard no matter how much we have suffered or how crazy we might appear to be. It’s hard to pinpoint when and how I was influenced. Sometimes it was more by the courage and example of the people I met in my varied work as a psychologist before the days when one had to specialise. My old Professor became the champion of a new way of learning in post-graduate studies and as a mature age student, anxious to improve my work prospects and support my young family, I enrolled in a part-time Masters Degree that he designed. Here, in the 1970’s, we were influenced by Rogerian non-directive client centred therapy, as well as leaderless encounter groups, psychoanalysis, family and societal systems and the idea that we could learn the ‘noble’ profession of counselling and psychotherapy. We were required to tape our therapy sessions, and we were observed and critiqued in live situations in a non-threatening way, and our learning also involved reflective group discussions and case conferences. I already had many years experience behind me but this is where I first started to appreciate the profession where I now seemed to be spending my working life. It was much later that my own spiritual/personal journey took me to Hakomi with its Buddhist and Taoist underpinnings that seemed to complement all that I had learnt at the same time teaching me so much more. I am interested in the interface between mind, body and spirit as well as the meaning people make of all of their experiences- the joyful, sorrowful, painful, ordinary and extra-ordinary experience of everyday life. I’m not interested in the ‘pathologising’ of the human journey, from which it is hard to escape judgment and to embrace change. I’m happy to investigate and use relevant research and practices in the service of my clients but I always try to practise within the Hakomi principles of mindfulness, organicity, interconnectedness and non-violence. I have become more interested recently in psychosomatic illness and the challenges of the lasting life. I love the complexity and diversity of people and their journeys and the fact that I can constantly be surprised at the resilience of people even in the most dire of circumstances. I’m not a therapist who has a tool kit ready to open and apply. For me therapy only starts to happen when the relationship becomes a therapeutic alliance which in itself will lead both client and therapist to whatever is needed. However the skills of acknowledgement, understanding, listening ‘with the ear of your heart’ and inviting the client to be present in the here and now using the practice of mindfulness are all important in my work. I draw from whatever appears to be workable in the moment and rely on the relationship to guide my hypotheses and the progress of what we do together. Clients come with enough doubts about themselves and their lives, so part of what we do is to reveal the strengths they don’t realise they have and use them in the service of their growth. It is this creative resourcing of clients that I find is most helpful and satisfying. When they are heard, understood, respected and when they experience hope about their ability to change. I’m not sure what a ‘better’ person would look like. Sometimes people expect therapists to have perfect lives and relationships when often the opposite is true. My life has had its share of trauma, loss and entanglements but my own therapy and the work with my clients has re-inforced my underlying optimism and belief in the goodness of people, even those of us who have done things of which we and others might not approve. Being with people in a therapeutic alliance is a privilege and a responsibility that undoubtedly has led me to look at myself and my life and learn from all its messiness and wonderfulness. It is never boring, you can’t take anything for granted, it is continually challenging, inspiring and sometimes scary. And I’m so grateful for the great choice I made or was made for me all those years ago when I tentatively enrolled in Psychology 1. Yes I obsess over what I should wear and how I would look sitting opposite a client even though I know as, a client myself, that when you are distressed appearance is the last thing on your mind. Sometimes I come to a session with some upset or event that has occurred in my life and I need to acknowledge it, if it seems to be present. When I was in grief just after my mother died the acknowledgment of this was helpful to a client whose own grief had up until then been buried. Despite all the time our highly evolved species has spent within this amazingly interconnected, beautifully calibrated and balanced world of ours, we still have to ask this question, which shows us what a mess we have made and that we do not have much time left to change the way we are in our world! Internal Family Systems Therapy by Richard C Schartz, The Distaff Side by Jessica Scotford, and so many more. Songs by Leonard Cohen, Jane Sibery, Joni Mitchell, traditional gospel and soul music, Jonah and the Wailers, Ben Ponte’s Indian and Yogic series of Paintings, Martin Coyte’s Liberated Sheoaks and his Tuscany series of paintings and sculptures.